Yesterday Taster announced their $4m series A. We led their funding round, with participation of existing investors LocalGlobe and Marc Menasé, as well as new investors GFC. Taster is the latest addition to our portfolio of Digitally-Native Consumer Brands (GetYourGuide, Natural Cycles, Lillydoo, Inboard..). It is our first investment in Food and our first investment in Paris — firsts of 2 hopefully long series. We wanted to use this opportunity to share a few words on why we decided to back Anton and the entire team on their journey. Taster is a family of restaurants of a new type. These restaurants don’t have a full-fledged store presence. They are born on top of the new distribution infrastructure laid out by logistics companies such as UberEats or Deliveroo. Unlike traditional restaurants, or “full-stack” delivery-only restaurants, they are not trying to “do it all”. They deliberately chose to be laser-focused on the actual food-making and customer experience where they excel and stand-out, and either outsource or skip the rest. They were born online, they put their community of customers front and center and engage them directly on social media. At this point, the Taster family has 3 children: Mission Saigon, O Ke Kai and the brand new OutFry. Those 3 restaurants are 3 brands in their own rights. Yet, they also belong to the same family. And the Taster family shares the same maniacal obsession for taste (our menus are designed by Michelin-starred chefs), quality (our ingredients are locally sourced and come from the very best suppliers), and generosity. Taster is currently live in Paris (11th, 18th, 9th), Lille and Madrid, with new areas of delivery opening every month. In a short 15 years, Europe alone has already seen 5 new $BN companies in food delivery. This is more than any other segment. Yet, we believe that this is just the very beginning. Food is an $11,000BN market globally. Online food delivery accounts for <1% of that market and <3% of the total restaurant market. Hence, even when accounting for online grocery shopping, it is clear that Food is significantly lagging behind other industries like Retail (15–20% online) or Travel (70%+ online). Yet, there are good reasons to believe that this is about to change fast, as important building blocks are now in place. On the distribution side, new logistics platform have laid out the infrastructure layer needed for this revolution. Most critically, on the demand side we are witnessing powerful shifts in consumer behavior. As a combined result, online food delivery is rapidly gaining market share at the expense of both home cooking and seated restaurants. A significant and increasing part of the population would rather not have to cook if they could. Eddie Yoon has researched this trend over a 15-year timeframe and shared his conclusions on HBR. This is hardly surprising. Cooking takes a significant amount of time, and most of us know that professionals are much better at it than we’ll ever be (thank you Netflix for continuously reminding us!). In capitalist economies, time consuming activities better done by professionals end up being largely outsourced to those professionals, and become hobbies. Knitting/sewing garments, or home cleaning are 2 historical examples of that. Now, eating is so central in our lives that the bar to outsource food-making is incredibly high. Up until now, and unless you were very rich, outsourcing food-making wasn’t possible without compromising on your health or your wallet. Taster is on a mission to change that. At the same time, online food delivery is also growing at the expense of seated restaurants. People used to go to seated restaurant out of convenience, just because they were hungry and didn’t feel like cooking, or the fridge was empty. In urban areas, this use case is now much better served by online food delivery options. Seated restaurant will obviously keep their important social function. They are likely to refocus on the latter, and offer memorable experiences to consumers, going beyond the food itself. 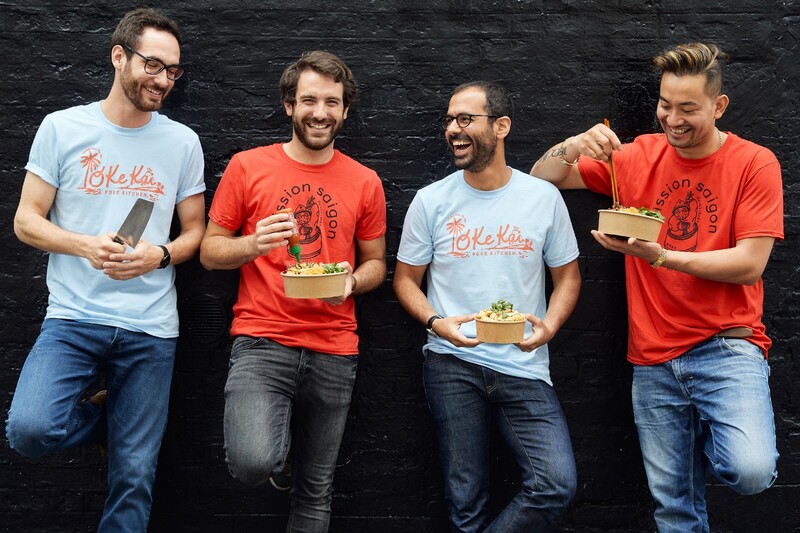 But this new breed of dedicated delivery restaurants such as Taster are best positioned to win over the convenience use case previously addressed by seated restaurants. Logistics companies such as UberEats, Deliveroo, Glovo, Foodora or Wolt in Europe have solved distribution and discovery in this value chain. They have laid out part of the “infrastructure layer” enabling companies such as Taster to flourish on top of them, at the “application layer”. This isn’t dissimilar to how the Apple and Google app stores solved distribution and discovery on mobile, and enabled companies such as Supercell, Uber or Spotify to flourish. These companies are becoming the app stores of the Food industry. This is having dramatic downstream implications on the cost structure of this new breed of restaurants. While traditional restaurants incur major fixed costs by renting expensive real estate in prime locations to attract customers, Taster’s most important real estate is “virtual”, and has variable costs. It is our top spots on those distribution platforms. It’s also an incredibly leveled playing field, as the best and worst virtual real estate spots cost the same thing. One “earns” its way up to the best virtual real estate in a meritocratic way, through customer love and operational excellence. Taster is in the midst of a perfect storm. Having come out of Deliveroo, McDonalds, and leading restaurants, the team understands this opportunity better than anyone else. We believe that they have a unique opportunity to create an iconic consumer brand in Food. As an investor, it is doubly exciting to invest in a company which product has become an integral part of your daily life. We moved to Paris 9 weeks ago and have ordered from Taster’s restaurants a grand total of 22 times. That’s an average of 2.5x per week (and no, I unfortunately don’t even have an investor discount!). The cultural orthodoxy in Food is that every meal is always somewhat of a compromise — between taste, convenience, health, and price. Luckily for all of us, this simply doesn’t have to be the case anymore. And Taster is on a mission to challenge that. We’re delighted to be backing this team — a warm welcome to the Sunstone family! This is a collection of blog posts published by the Sunstone team as well as founders from our portfolio companies.